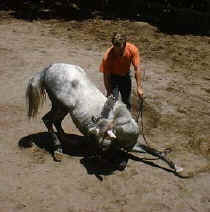 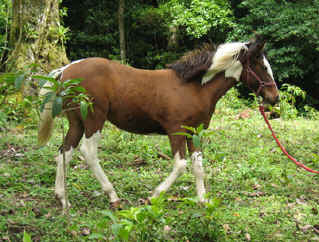 In January 2006 I was asked by the Quaker community to help tame an uncontrollable 8 month old filly. 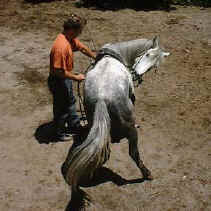 This was the first time someone had asked me to do this. 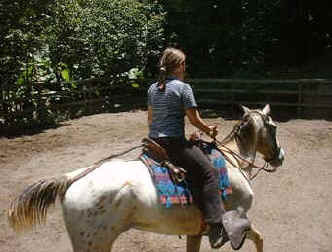 The previously uncatchable horse had a blanket on and was leading within 7 sessions, and I was able to do lots of other handling on the ground. 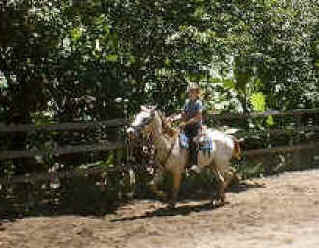 I am happy to pass along some of my experience around horses to the local community in Costa Rica.